Sometimes couples are unable to reach equitable decisions during a divorce or separation, even with the help of a mediator or a judge. In these cases, contacting a divorce arbitrator may be the best way to get complex issues resolved. Arbitration is different from mediation or litigation in that it is rarely the first choice for couples; rather, it is used as a solution when other methods have failed. If you and your spouse are discussing arbitration, it is very important to have qualified legal counsel on your side. The decisions issued by an arbitrator generally cannot be contested, so it is crucial to make sure your perspective is heard during the proceedings. To discuss your case with an experienced Raleigh divorce arbitration attorney, contact the law offices of [firm-name] at 919-833-1040. If your divorce is taking a very long time to settle, or you and your spouse have run into particularly difficult disagreements, you may decide that arbitration is the answer. If so, you will have the option of deciding on an arbitrator together; if you cannot, your attorneys will select one instead. Most arbitrators are family attorneys or retired judges, but they can be nearly anyone who has experience in family law. You can use arbitration to settle all of your property division and custody issues, although many couples only present one particularly antagonistic issue to their arbitrators. The arbitrator will consider your arguments and issue a decision that is generally binding. If this is the case, you will most likely be unable to appeal the decision. As you can see, choosing a fair and educated arbitrator is very important. It is also important to have a committed Raleigh divorce arbitration attorney working for you throughout this process. Without legal assistance, you may find yourself being held to an unjust and non-appealable court order. The Raleigh divorce arbitration lawyers of [firm-name] treat every case with efficiency, insight, and compassion. 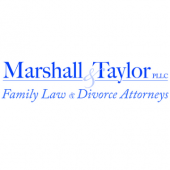 If you are considering divorce arbitration, contact our offices today at 919-833-1040.